By Jason Davis – WASHINGTON DC (Jan 18, 2019) US Soccer Players - The new year always arrives with new possibilities. Whatever the arbitrary nature of the calendar, society tunes to the start of January and the sense of promise it conveys. It’s easy to imagine things getting better when a fresh 12 months stretch out ahead of you. Even without a raft of resolutions, it’s a start of optimism. Every club has the glow of optimism about them when the new year hits. Last season is already history and the new campaign beckons. The chance to flush out the detritus of the roster and sign new faces makes every team a potential playoff contender. Not every team gets the benefit of the doubt during the winter, but all of them can sell their fans on the idea of hope. There’s no need to imagine things getting better in central Ohio. Things are better because the Crew is saved. A new ownership group took control of the club as the calendar turned over, bringing an end to the “will they or won’t they” relocation saga that consumed all of 2018. A new sheriff means new deputies and those are already in place. Former Toronto FC general manager Tim Bezbatchenko as president and former Portland Timbers head coach Caleb Porter in that same role for the Crew. The investor/operator group is Jimmy and Dee Haslam, controlling owners of the NFL’s Cleveland Browns, and the Edwards Family. Dr Pete Edwards is an orthopedist who served as the Crew’s team doctor. Fans in Ohio’s capital couldn’t have dreamed of a better partnership under which to begin a new life. There’s plenty of money (Haslem) and local passion for the club (Edwards). MLS is a league of franchises and modern sports does not always do right by the fans. Columbus is an example of things turning out right. Those facts look like strong guards against the kind of flagging interest and wantaway desires that led to 2018’s drama. 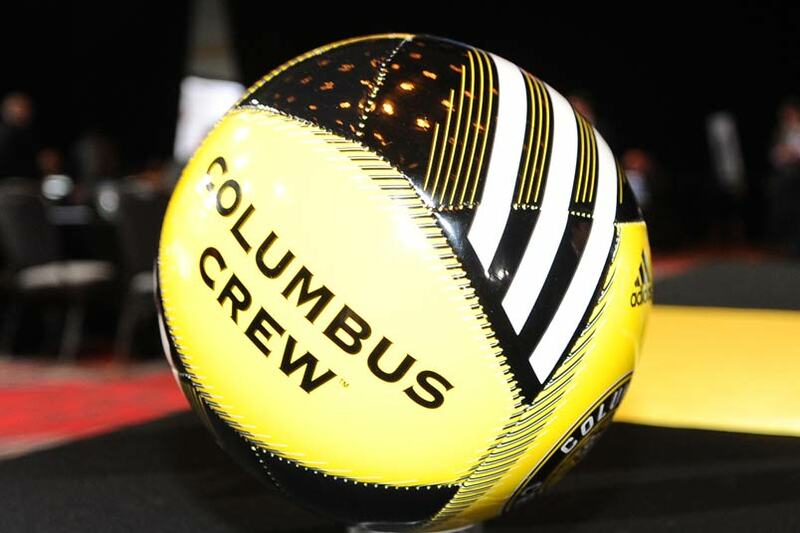 While no fan would have willingly chosen the pain that came with not knowing whether the team would remain in Columbus, the resolution is more than satisfactory. It’s downright exhilarating. Hope has more than one face in Columbus. There’s a stadium plan, one that will become more solid as them months go by. Edwards spoke to local radio this week, indicating that the new venue will seat between 20,000 and 25,000 fans. Firming up those kinds of details and watching the renderings drop as the chosen architecture firm finishes an initial design moves the club forward. One of the hallmarks of the Crew’s late period under previous investor/operator Precourt Sports Ventures was the discussion about the current stadium’s limitations. For all its history, Crew Stadium is a relic when compared to the modern buildings going up around MLS. It has no luxury boxes, no amenities, and no roof. It doesn’t serve as much of an attraction for casual fans. Crew Stadium would make for a top class high school football stadium, but it is lacking as a modern soccer venue. The limited revenue driven from the stadium might not have justified Precourt’s attempt to relocate the club, but it was a problem in need of a solution. A downtown venue will presumably reinvigorate interest in the club from around the region and better fund the operation into the future. The new ownership group has also committed to turning the current stadium site into a community sports complex. With city help, the fairgrounds where the stadium sits will become a multi-use facility that will include a training ground for the Crew. The on-field product wasn’t the problem under Precourt. In spite of him or because he made wise choices with his technical hires, the Crew remained a perennial playoff club in the Eastern Conference even through 2018. Former coach Gregg Berhalter did yeoman’s work keeping up with the higher spenders in the conference and was always a threat when the postseason arrived. In 2018, the Crew finished fourth, beat DC United on the road in the knockout round, and pushed the Red Bulls through 90 minutes in the conference semifinal. Berhalter rehabilitated Gyasi Zardes as a viable MLS forward, got excellent performances from Federico Higuain and others, and played attractive, style-focused soccer amidst the turmoil of the potential relocation. Berhalter is gone, left to take on the challenge of rebuilding the US Men’s national team. That means someone new stepping in for both Berhalter’s first team coaching duties and for the personnel and academy oversight responsibilities that full under his mandate. The job went to Porter. The ex-Timbers boss returns to coaching after a year away from the game. He takes on the task of keeping the Crew in the hunt for championships. Porter seems a natural fit for the position considering his time in Akron. Porter now leads the club he defeated in the MLS Cup final back in 2015. If a club has to lose a coach like Berhalter, replacing him with Porter lessens the blow. Above Porter in the hierarchy of the new Crew will be Bezbatchenko. The club’s first president under the new ownership, Bezbatchenko arrives in Ohio from Toronto, where he helped turn TFC into an MLS juggernaut. TFC’s rise came through a combination of factors, increased spending and the hiring of Tim Leiweke chief among them. It was Bezbatchenko’s work in the general manager position that allowed the club to develop its vaunted depth and charge to a triple haul of trophies in 2017. Bezbatchenko’s decision to leave Toronto for Columbus represents a homecoming for him. Bezbatchenko grew up in Columbus and has more than just professional reasons for wanting to help the club thrive. Like with Dr. Edwards, that bodes well for his commitment to the club and ensuring it a brighter future. There’s never been a new year like this, for any MLS team. Saved from death, a unique experience beckons. Wins will mean more and the losses might not hurt as bad. A championship season would be magical, but any season at all is a gift. No one in MLS history has ever had more reason for optimism. What was bad is good and what is good can only get better.